I know, I know. I have been neglecting the blog. I know. 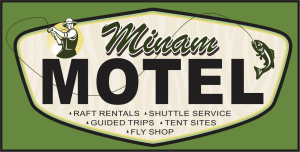 But there has simply been too much work to be done at the Minam Motel to get it up and running these past several months. Necessity gets in the way of enjoyment too often in life. I am now so far behind on photos and trip write-ups that I don’t know if I will ever catch up. 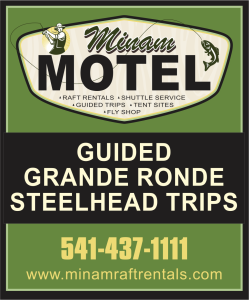 For tonight, I will just give you a quick run down of a fantastic day trip—flying into Red’s Horse Ranch or Minam River Lodge and floating in Feathercraft made Baylee River Runner packrafts (available to rent or buy from us at the Minam Store) out to the Minam Motel as a day trip. Lottie (my wife) has come to boating and river’s later than I have, but she is almost always willing to go on whatever kind of trips I come up with. For mother’s day we did a family float trip with good friends from Minam to Heller Bar (91 miles) in 3 days. It was a kick in the pants. NOTHING is better than spending 3 days on the river with friends and family. The weekend after that we spent 3 days cleaning campsites with the Riverside Outdoor Club. Each year we get calls from people asking about flying into the Minam River Lodge or Red’s Horse Ranch, but Lottie and I hadn’t actually flown in. I have hiked Baylee River Runner packrafts in there multiple times and floated out, but never flown in. Getting back from our spring river cleanup trip I had a group interested in renting packrafts for such a trip, but they ended up not going. I thought to myself, “This would be a good trip for Lottie to get under her belt before the raft rental season really takes off. We should really meet the guy who flies people in there and experience it for ourselves so we have first hand knowledge. And . 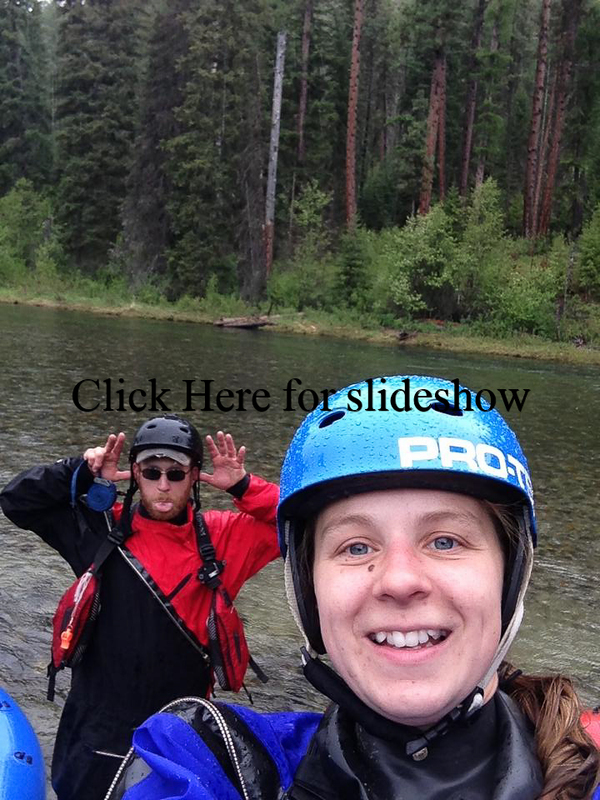 . . Laura (our neighbor and good friend) has really been wanting to do a packrafting trip since playing in one of the packrafts during our Minam to Heller Bar trip.” I looked at Lottie’s raft rental calendar and we decided it was now or wait till next season. The weather forecast looked fairly bad and Joe, the pilot, wasn’t sure if we would be able to go so we hadn’t called the Minam Lodge in advance to see if we could get breakfast the morning of our launch. I did not want to paddle 22 miles through inclement weather without breakfast. We stopped at the Subway in Enterprise and got a sandwich. After devouring a breakfast sandwich and with thunderstorms in the forecast, Lottie, Laura, and I met Joe from Spence Air Service at the Enterprise airport and threw 3 packrafts and gear into his Cessna 205. Knowing the weather was going to range from bad to terrible, I left my good camera at home and the only pictures we have are what Lottie took with her fancy-pants smart phone and I have to say, they are surprisingly good photos for a camera phone. Joe was a great guy. I have never really flown in small planes, but he put me at ease pretty quick. He asked if we were having breakfast at the Lodge and I said, “Well, I don’t know. Should we?” He explained that only patrons of the lodge can land there and I explained that we already ate since we weren’t sure if reservations were necessary. Joe assured us that no one would go away starving even if they didn’t call ahead so our group decided that a “Second Breakfast” was in order. We could have landed on the Red’s Horse Ranch airstrip, but I had never been to the Minam River Lodge and it sounded like fun. 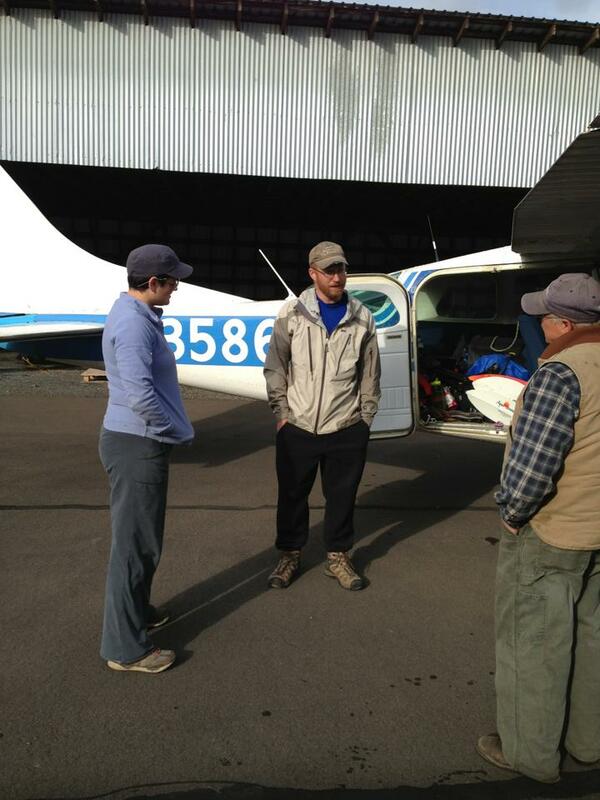 Joe’s Cessna was a pleasant ride over the mountains after I got over the feeling that I might fall to my death. He made an easy circle around the airstrip to make sure everything was clear and then glided onto the grass airstrip for a smooth landing. The 120 acre Minam River Lodge property was full of activity. There were several large garden plots being prepared by two full-time gardeners, a crew of men sawing logs on a small sawmill and busy at work rebuilding the place. A short walk from the airstrip we were greeted at the door by Cindy, the hostess, and had warm coffee and the smell of breakfast cooking to welcome us. Cindy was great and we had a pleasant hour of conversation with her over breakfast. She took the time to show us the newly rebuilt “Boulder” cabin. The crew there is rebuilding every structure on the place and doing one hell of a job. The Boulder cabin had a shower built out of granite found along the property, a bathroom sink stand made out of one of the coolest tree roots I have seen, and the sink itself was a granite boulder found on their property that they carved a basin out of. Nice place to say the least. Oh, and did I mention they have an outdoor wood-fired hot tub a short walk from the Lodge? If you are looking for a fly in place to spend some time and don’t want to leave the comforts of home check out the Minam River Lodge. It is very unique. Lottie, Laura, and I eventually made our way back down to the meadow and our boats. We used the shelter of one of their outbuildings to inflate our boats and put drysuits on. The bad weather was finally rolling in. We carried our packrafts a short walk across the meadow to the river and I was a little stunned at how beautiful the river was. It is a bit silly I suppose. I spent most of the last couple summers hiking and exploring in there and have always thought it was one of the prettiest streams around, but I was taken back anew at how beautiful the Minam is up there. As we paddled our way downstream the light drizzle of rain alternated to heavy downpours at times, followed by thunder, lightning, and some hail but we all had a great time. This was Laura’s third time paddling any river. I gave her some paddling instruction on 10 miles of the Grande Ronde this spring at high water, and then another 10 mile run of practicing eddy turns, etc. on the Wallowa the evening before but she did very well and had a blast even with the weather. The Minam River was running around 800 cfs and was busy class II boulder gardens most of the way. There is one spot that the guide books call class III, but it is hard to distinguish from the rest of the run at 800 cfs. I had given Laura a Baylee 2 self-bailing packraft, Lottie paddled our Baylee 1 self-bailing packraft, and I paddled the Baylee 1 bucket boat. I didn’t want Lottie and Laura to have to worry about dumping water out of their boat, but I noticed my feet were much colder than usual given the fact that they were constantly submerged in icy-cold water in the bottom of my boat. I had to stop every 5 or 6 miles to walk the bank and try to get some circulation going back in my feet and eventually I just started paddling with my feet kicked up on the tubes so they would stay warmer. By the time we made it back to the Minam Motel, it was a long day. We had got up early to drive to the Enterprise airport and spent more time at the Minam River Lodge than we had planned just because the hospitality was so good. By the time we paddled 22 miles through rain, lightning, and hail we were all beat. And so we ended our day with that tired, satisfied feeling that we lived the day fully.